Survivor testimonies and research presentations at Carleton’s Holocaust conference on April 24 and 25 emphasized a need for greater action and awareness of the genocide in today’s world. 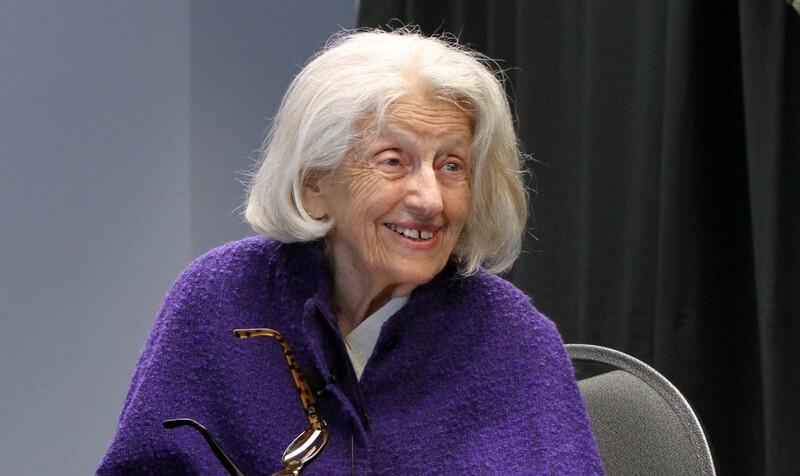 Dr. Truda Rosenberg, a Holocaust survivor, shared her story at the Zelikovitz Centre conference on April 25. Photo provided by Mike Pinder. Survivor testimonies and research presentations at Carleton’s Holocaust conference on April 24 and 25 emphasized a need for greater action and awareness of the WWII genocide of millions of Jews. The event, entitled “If Not Now, When? Responsibility and Memory After the Holocaust,” was hosted by Carleton University’s Max and Tessie Zelikovitz Centre for Jewish Studies. “The study of the Holocaust has always been one of our core strengths,” said Dr. Deidre Butler, a Carleton religion professor and associate director of the Zelikovitz Centre. “We knew we wanted to do something different,” she said. The two-day conference included presentations by parliamentary figures such as Immigration Minister Jason Kenney, MPs from across Canada, and a variety of prestigious university professors. Research panels examined a range of unique topics including post-Holocaust Yiddish music, the neuroscience behind coping mechanisms of genocide victims, and studies on Jewish identity. Horrific social injustices are often not accepted “until there is what we call a narrative discourse – a story that moves us beyond a specific time and place; until there is an identification with the victims; and until there is acceptance of it as a tragedy for all humankind,” Kaufman said. The event also highlighted two survivor testimonies, including that of Dr. Truda Rosenberg. Her story, she said, leaves her shivering every time she speaks about it. Rosenberg described the sharp sounds and halting movements of the train she and her two aunts were packed into as they headed to a concentration camp in Poland. Two boys approached Rosenberg, asking if she wanted to jump off the train. “We’re going to death, don’t you know?” he said to her. Rosenberg was one of the few who abandoned the train – a decision that saved her life. After escaping, Rosenberg changed her name and lived under the identity of a non-Jew for the next several years. “I could never speak closely with anyone so there was no chance of them asking where I come from,” she said. She perfected her German, worked as a maid, and became a registered nurse. Neither her family, friends, nor anyone else knew her true identity. By the end of her story, Rosenberg wasn’t the only one shivering. However, her final note was one of inspiration. “Here I am, able to tell the story and fight for it to never happen again. And I hope you are with me. Hands up?” she said. Rosenberg smiled as every hand in the audience shot up, a reaction that reflected the impact of the Zelikovitz Centre conference as a whole. Canada was named Chair of the International Holocaust Remembrance Alliance for 2013-‘14, a position that comes with the responsibility of providing venues to examine and discuss remembrance, education, and research on the Holocaust. The Zelikovitz Centre hosted the conference in recognition of Canada’s assumption of the chair position, hoping to generate public interest throughout the Ottawa community. Among the audience was Kati Morrison, a Holocaust survivor from Hungary who travels to local schools, sharing her story. Although difficult, Morrison said it is important to discuss the Holocaust and how events such as this are needed.